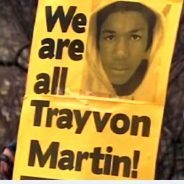 Home Posts Tagged "Racial Justice"
“Stand Your Ground,” the controversial bill which let George Zimmerman off the hook for murdering innocent teenager Trayvon Martin in 2012, has been introduced into the Iowa Senate. If passed, this “shoot first” bill would allow anyone to use deadly force if they believe their safety is threatened. Skittles and the color of one’s skin is not a threat.